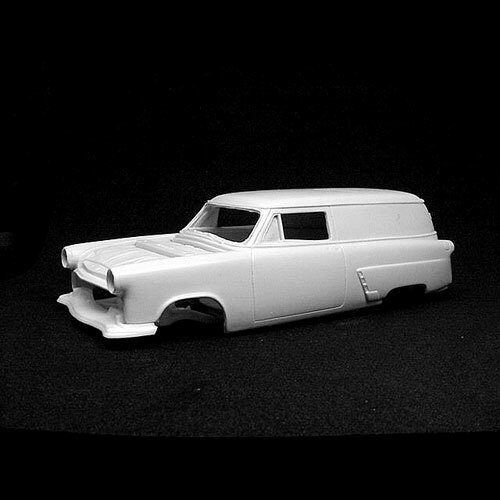 Resin 1953 Ford Panel Sedan Delivery by Ron Cash. One piece body. 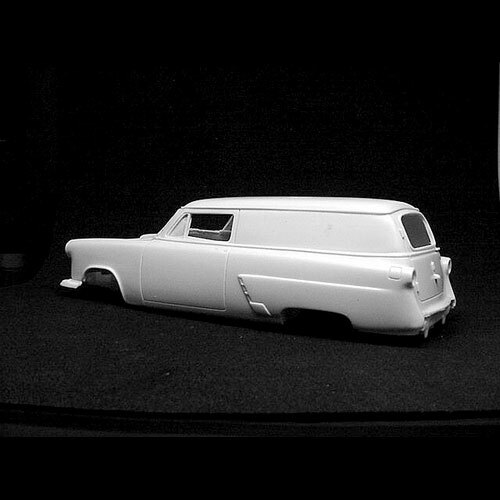 This resin model / body would require a Ford model kit for donor parts to finish. The photos here are courtesy of SoCalCarCulture. www.socalcarculture.com. Even though a kit may not be available anymore, or the manufacturer is out of business, you can still sometimes find them at models shows / events, through model clubs and online BBs , and especially ebay. 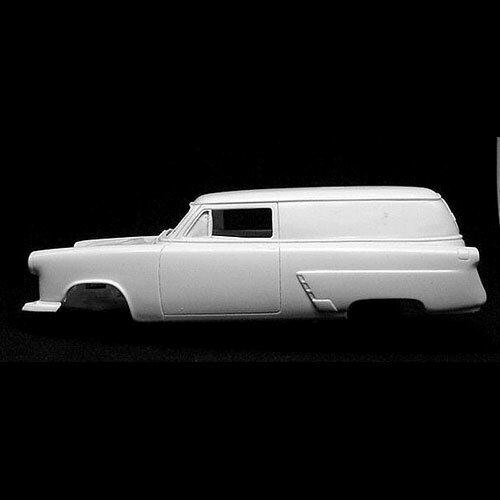 On new and recent resin offerings, see our Model Car Links. I will constantly be adding new listings. Click here to do another resin model search.